Intensive hair and scalp treatments for the very best results in mane health, shine and condition. A choice of intensive scalp treatments to exfoliate or stimulate. Shampoo, conditioner and scalp toner. Yes, your hair deserves a spa treat too. We look forward to hearing from you. Your mane is one of the most important features that will be a point of focus on the big day so it is essential that you maintain a healthy mane habit leading up to the big day and after. Healthy mane [and skin] must be nurtured and cared for; it is a sign of overall health and well-being. If you chose a simple style, stick to it. The opinion of others really is not that important. The important thing is for you to feel and look how you want to on the day; the pictures will last a lifetime. It is advisable that you have a trial run; the way a style looks on someone else will not look the same on you so it is important that the way you look is how you want on the day. For your trial you should bring along images of mane styles you like to help your stylist understand the look you’re going for. Be realistic, think about your day to day mane styles and how you like to look [especially for the man your about to marry] when you’re going out for special occasions and with your stylist come up with ways to glam up your style. If the stylist on your wedding day is not your regular mane stylist, the trial gives both of you the opportunity to meet and understand the expectations for the day during the trial. 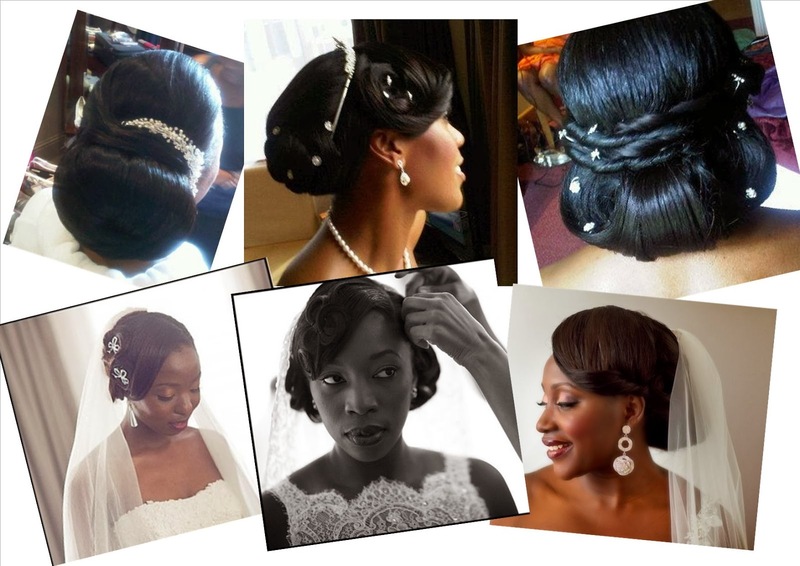 Be open to advise from your stylist however make sure you’re comfortable with the bridal mane for the day. Whilst your stylist may feel they want to give you the most amazing style on the day, remember they can only work with what you have in terms of your mane type and its current state. For instance, if you’re a natural mane wearer and you prefer not to have heat applied to your mane to alter its natural state, then you should consider styles that are more structured and suited for natural mane.Be realistic, is the style option you’re going for achievable with your hair type? There are so many available, however it depends on the look you’re going for and the mane style chosen. Flowers are always beautiful and can complement your bouquet, you might also want to try hair pins with crystals and or pearls, or even a brooch can work well if the jewel is the look you are going for. This can give you extra length and volume on the day or for natural mane wearers who would like to protect their hair, this is a good alternative for you to consider if your chosen style requires curls / straightening. If you decide to have extensions and you have never had them installed before, discuss the various options available for your mane type with your mane stylist and try them before the big day. If you decide to go ahead with extensions or if you’re not new to the process your extensions should be installed at least 3 days prior. This will give your scalp and mane time to settle prior to the day. Your mane routine is very important, if you have been laid back about looking after your mane, now is the time to start caring so you’re happy with your overall look on the day. Monthly mane treatments will do wonders for your mane and help to keep it healthy and looking great for the day and after. Have your hair trimmed to avoid split ends, consider taking hair supplements (see your GP before you do so) to help maintain growth and wellbeing of your mane (especially when you have chosen to go on a diet). 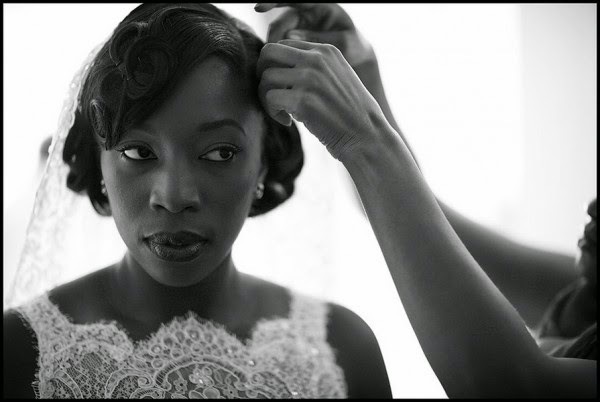 For your trial and on the wedding day it is essential that you have clean, dry and product free hair, it will make styling easier.